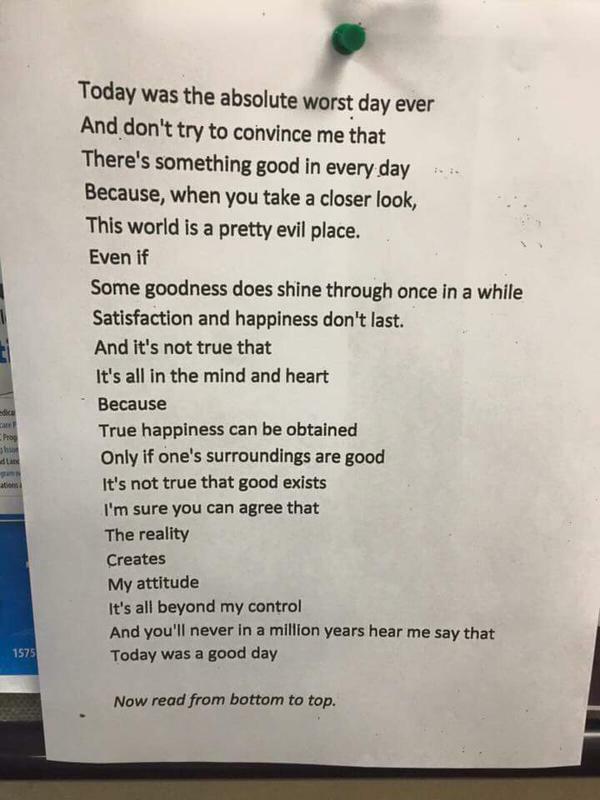 Londoner Ronnie Joice saw this poem pinned up on a wall of a bar in North London and it is now doing the rounds on social media while his Twitter account is being bombarded with messages. Things aren’t always as they seem, are they? Love this. An analogy for the way individuals look at the world in words and format. So clever – thanks for sharing.